Laser, it’s the real deal, to deal to unwanted hair. At Waxnlaser we are pretty proud to guarantee the highest quality most effective and safest hair removal treatments available in Wellington today. We are the only people in Wellington with the screamingly powerful dual-energy Elos Plus diode lasers. 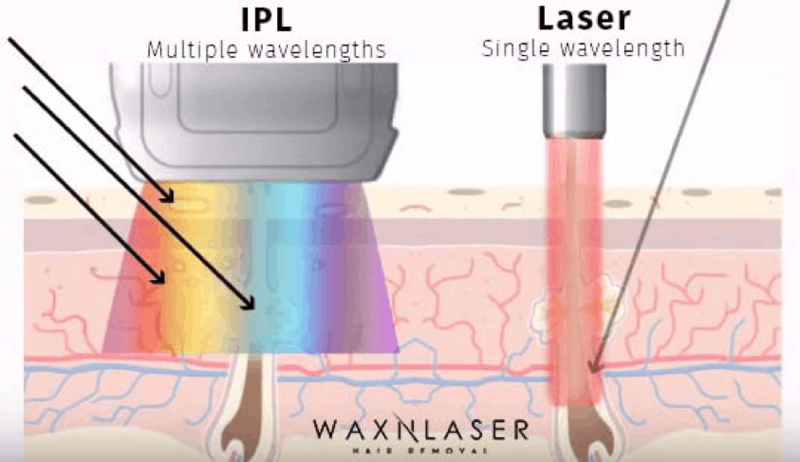 These are the “beam me up Scotty” real lasers which, together with our Personal Treatment Plans, take away the guesswork with individual treatment strategies based on your personal hair growth cycle, payment options and our #AlwaysReady Guarantee. Oh yes! Ditch that razor with its stubble and horrible ingrowns. (Don’t tell our waxers) but save the cost of regular waxing and enjoy the freedom, yes the FREEEDOMMMM of #AlwaysReady. The #1 reason for getting a laser Brazilian is the cleanliness. Do it for yourself! Book your free consultation and assessment at your nearest Waxnlaser clinic today. Have a question about Laser Hair Removal? If we haven’t answered it in the FAQ’s click the button to ask us something else. We will email you a private answer. Why are we the best in Wellington? It’s who we are. We have been doing laser hair removal longer than anyone else and have invested in the most suitable laser technology from Candela the global leader in hair removal laser. The quality of our machines, the depth of our training and expertise and our uncompromising hygiene and client safety is what defines us as a business – every single day. Unfortunately not everyone is. Our laser equipment can treat all skin colours (most can’t do this) however the colour and type of your hair matters. Lighter coloured hair; blonde, grey, white or red generally gets poor to zero reduction and the thin fluffy hair (mostly on the face), even though dark, is also unlikely to have good results. There are also many contra-indications to laser which mean you can’t be treated, e.g. pregnancy, taking medication that increase the skin’s light sensitivity such as Accutane and many others which will be discussed at your free consultation. What if I have PCOS (Polycystic Ovary Syndrome)? One of the problems associated with PCOS can be excessive hair growth. It’s possible to successfully treat this hair with laser but unfortunately new hair, from previously dormant hair follicles, will be triggered to start growing by the hormone imbalance. The area is cleared of hair but not for very long (months instead of years). However laser hair removal keeps excess growth under control. PCOS clients need ongoing treatments and we provide discounted treatment plans to help with this. Ask us about our PCOS plans at your consultation.